Fall comes late here in the Deep South. It’s the end of October, and the leaves that change color have only just begun to whisper to each other their plans to sometime, in the future, perhaps transition from green to yellow or red. Or, in this evergreen land, they may just hold on to their green until blasted brown by a surprise freeze. Often the only signal of fall is the arrival of the green tomatoes. Our CSA box for the past two weeks has been heavy with the little green globes–too small to stuff but too green for most of them to ever ripen. So I had to go looking for ways to use a couple of pounds of small green tomatoes all at once. While searching the internet for recipes, I kept coming across people looking for how to make something called Duck’s Green Tomato Pepper Butter. They’d comment on recipes for green tomato relish or pepper butter asking for a copycat Duck’s recipe so often that I became intrigued and decided to look for it myself. I found Duck’s website, where you can buy their “butter” and see the list of ingredients but, of course, not the whole recipe. That’s when I decided I had to make one up myself. Of course, I’ve never tried Duck’s Green Tomato Pepper Butter. I didn’t even know if I’d like it. But I did know that I had 2 pounds of green tomatoes on my counter and countless bell and hot peppers in my fridge (thank you, CSA), and it was worth a try. And it was easy. 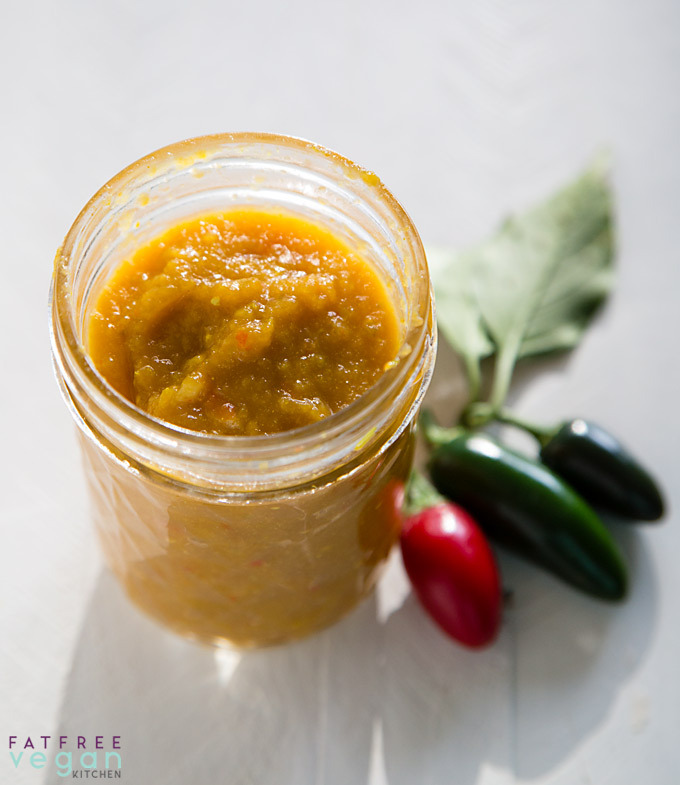 I looked at lots of recipes for making vegetable “butters” and green tomato relish and chutney, compared the Duck’s ingredients, and then began blending tomatoes. Though Duck’s uses prepared mustard, I decided to just add mustard powder and turmeric because I was afraid of making my butter too mustardy. I still don’t know what Duck’s version tastes like, but I think mine was terrific. Perhaps it wasn’t as spicy as I’d like because my jalapeños were small and a little mild, but I think it’s just right for people who don’t like a lot of heat. Now the only question was What the heck do I do with 3 pints of Green Tomato Pepper Butter? Combine it with vegan cream cheese and use it as a dip. I used Kite Hill chive cream cheese (which I know is high fat, but it’s all from nuts not oil so please don’t send hate mail) and rather than mix it all together, I decided to go for an elegant presentation and put the green tomato butter on top. This was delicious! I do recommend using the plain Kite Hill if you can find it because the chive was a little overpowering, but I have to say it took a lot of hand-slapping (metaphorically, of course) to keep my husband from eating this all in one day. Spread it on sandwiches instead of mayo and ketchup. 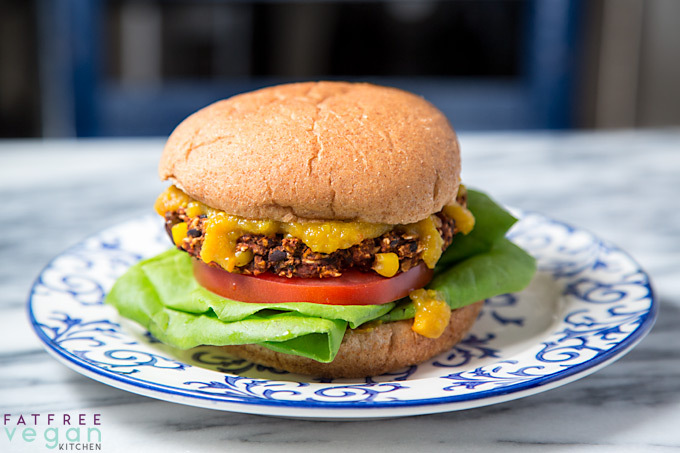 My husband and I both loved it on these Simple Black Bean Burgers instead of our usual condiments. 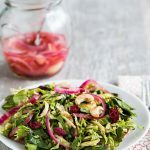 I think it would be excellent on any vegetable sandwich when you want a sweet-tangy flavor with a little kick. And it keeps sandwiches moist without adding any fat. Still to come: I still have over 2 pints left, so I have a few more ideas. I want to marinate tofu in it and then bake or air fry it and serve it with additional warmed up green tomato butter. Also, I’m thinking of basing a stir-fry on it, with a little added soy sauce, ginger, and garlic. And I’m wondering how it would taste tossed with pasta. Those are my ideas. If you have any idea for what to do with a sweet-spicy sauce that tastes like the end of summer, please leave it in the comments. 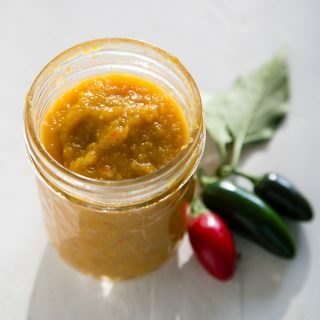 A little sweet and a little tangy, you can make this "butter" as spicy as you like by decreasing or increasing the number of hot peppers you use. Two small jalapeños with seeds made this just a tiny bit "warm"--not spicy at all for hot pepper fans. Core the tomatoes and cut them into large pieces. Core the bell peppers and remove the seeds and membranes, and cut into large pieces. Remove the stems from the jalapeños (you can remove the seeds if you want practically no heat, but I leave them in.) Peel the onion and chop it coarsely. 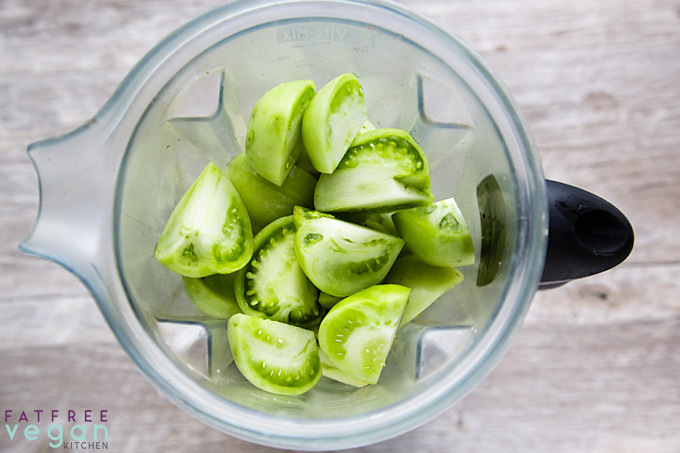 Place the green tomatoes in a blender with 1/2 cup water. (If they won't all fit with plenty of room at the top, do them in two batches with 1/4 cup water.) Cover blender, and blend on low-medium speed until liquified. Pour into a large saucepan. Repeat with the peppers and onion with remaining 1/2 cup water and add to saucepan. Reduce heat to a simmer and add the vinegar, sugar, mustard powder, and turmeric. Simmer until much of the excess liquid has evaporated, about 20-30 minutes. Mix the flour and 1/4 cup water in a bowl until smooth. Stir in one ladleful of the tomato mixture and mix well. As you are stirring the pot, add the flour mixture gradually, making sure no lumps form. Increase heat a little if necessary to bring it back to a boil. Boil gently, stirring, for about 5 minutes. Add salt to taste. 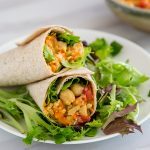 At this point, you can also test for spiciness, sweetness, and tartness, and add cayenne pepper, sugar, or vinegar to taste. Be sure to boil it for a couple of minutes after any additions. I don't have the equipment to can, but if I did, I would follow the directions for water bath canning so that this can be stored longer on the shelf instead of in the refrigerator. 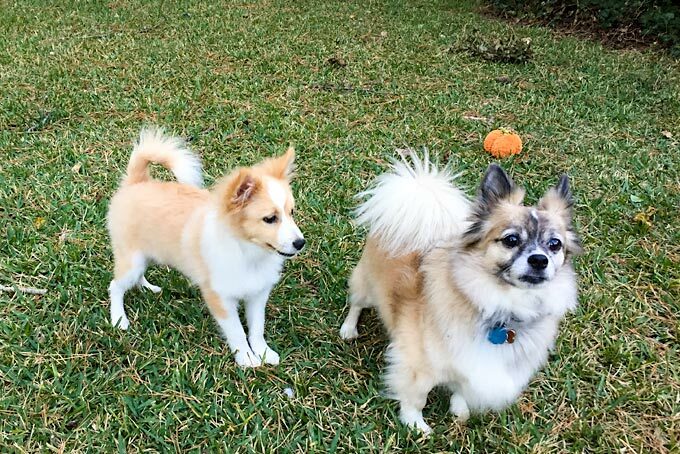 Foxley is an almost 5-month old Pomeranian puppy who looks more like a tall Corgi. His missions in life are to bother Bandit, chew everything, and get Loki to play with him. He came from the same Pom rescue as Bandit, and is settling in nicely when we can get him to calm down. He is very fast and hard to photograph, but I hope to feature more of him soon. 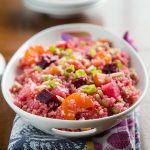 This sounds Delicious & looks beautiful! How about using it as a sauce for pizza??? I really want to try this…but don’t have any green tomatoes! boo! Tucking it away for next year. 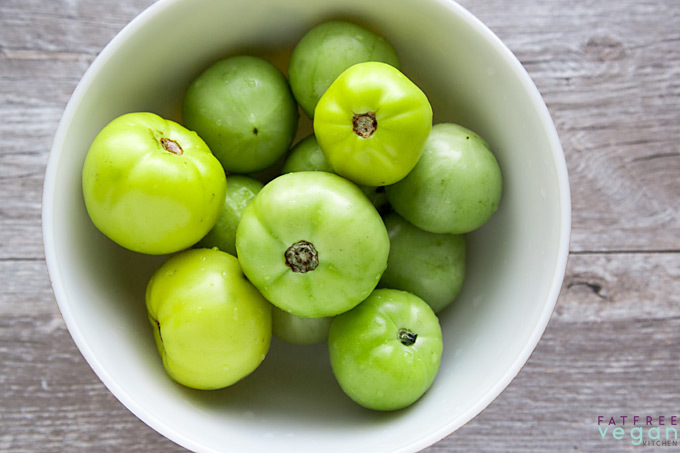 The recipe calls for “green tomatoes”, but the picture looks just like TOMATILLO. They are actually tastier than green tomatoes; they have a slight lemony flavor. You can usually find them in the produce section of a supermarket, with other south-of-the-border foods, like jalapeño peppers. Hint: They are sometimes called “husk tomatoes”. If you like sweet potatoes, here’s an idea. 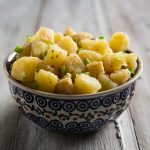 When they’re baked and cut into 1/2″ to 3/4″ rounds, they make a perfect hors d’oeuvre size. They’d be great IMO with a dollop of this on top, with or without a bit of hummus underneath. 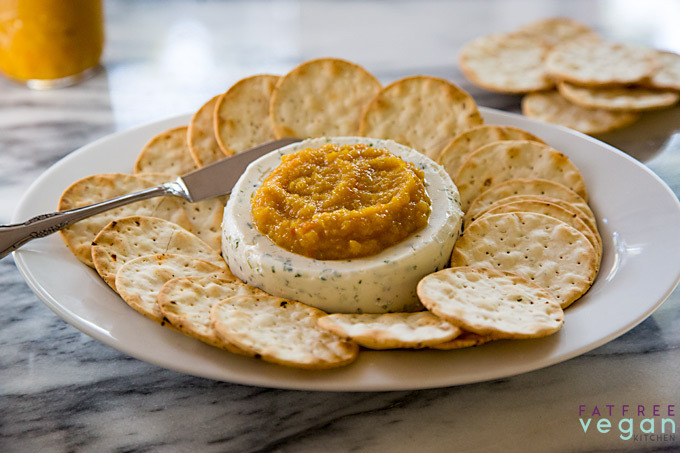 Thanks for the Kite Hill cream cheese dip idea. Are there any bagel or similar products out there that do not use oil to have with this butter and/or Kite Hill cream cheese? Hi Susan… Realizing that this post was from a year ago, I thought I’d mention that you don’t really need special equipment to water bath jars. Any lidded pot that is deep enough for your jars to have an inch of water on top will do! So you can even do these in the small 4oz jelly jars (I call those half jellies) in a standard pot, if that’s all you have on hand. If you can’t get them all in at once, just do back to back batches. The lids on common water bath canners aren’t snug at all. So it’s really just a really large soup pot. How that helps your green tomato butter last longer. I’m making some tomorrow! I am thrilled to see this recipe, Susan. I have an overgrown weedy garden spot that should yield me some fruit to make this , as, well as some jalapenos. Did you try this on toast? with a soup? Thanks for your creative self sharing with us your bounty .